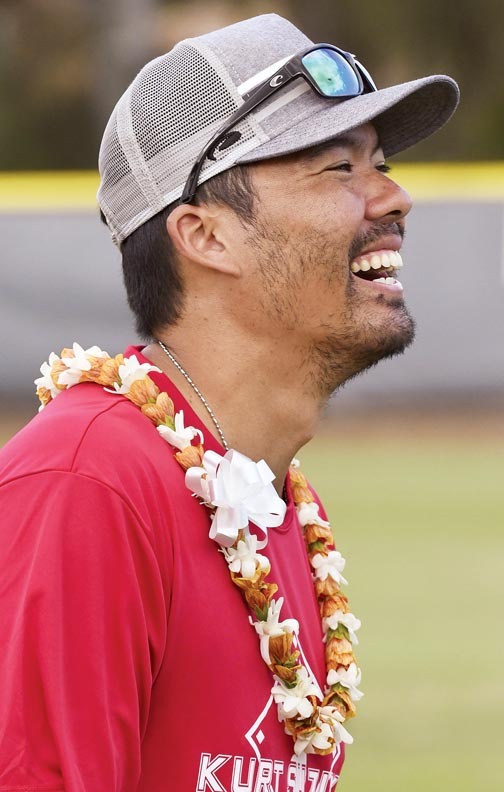 WAILUKU — Saturday morning showed just where Kurt Suzuki stands in the world of baseball. The 35-year-old Baldwin High School graduate who recently signed a two-year, $10 million contract with the Washington Nationals was meeting and greeting old friends all over the place at Maehara Stadium when a buzz started to grow. Albert Pujols was in the house. 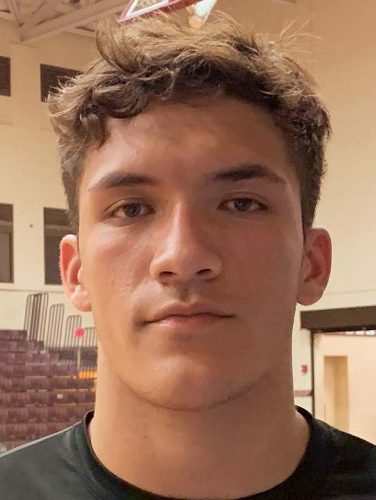 Suzuki has watched as Maui has enjoyed a baseball surge in recent years with seven youth world series appearances over the last three summers and three straight Division I state high school titles. 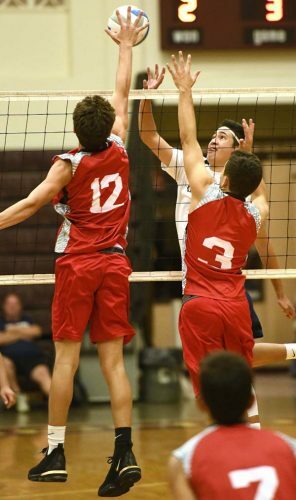 Baldwin finished ranked eighth in the nation by USA Today last season after the Bears won the state title for the second time in three years. It appears that Suzuki is still a kid at heart when he steps on the baseball field. After two seasons in Atlanta where he combined to hit 31 homers and knocked in 100 runs — 50 in each year — he said before the Braves’ postseason appearance in 2018 that it would take the right situation for him to continue his Major League Baseball career that is now 12 years old. 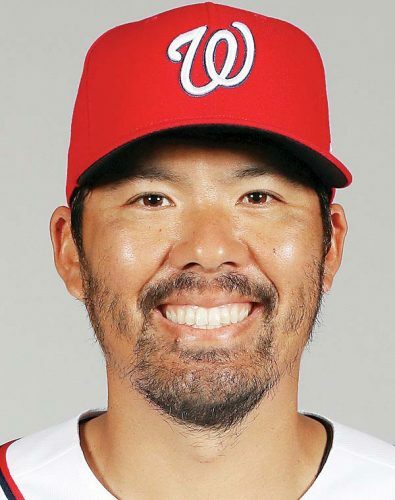 “It came quick, it was the first couple weeks of official free agency,” Suzuki said of his return to Washington, where he played the end of the 2012 season after a trade from the Oakland Athletics. “Washington was a really aggressive suitor. Oakland called a little bit, Houston called a little bit. Soon after Suzuki signed, his teammate with the Braves, pitcher Anibal Sanchez, signed with the Nationals and said a big reason was reuniting with Suzuki. “That’s a big thing for me, especially because the way I pitch in 2018, Suzuki was involved in every change I made,” Sanchez said in a conference call with reporters when he signed. Suzuki said part of his reasoning was simple. “They’ve got a great team, they’re building another great team,” he said. “I want to win, I want a chance to win and I think they’re going to give that opportunity. Shortly after signing Suzuki, the Nationals traded for Cleveland Indians All-Star catcher Yan Gomes. Suzuki knows his role with the Nationals will likely be in line with what it was with the Braves — he played 81 games in 2017 and 105 in 2018. 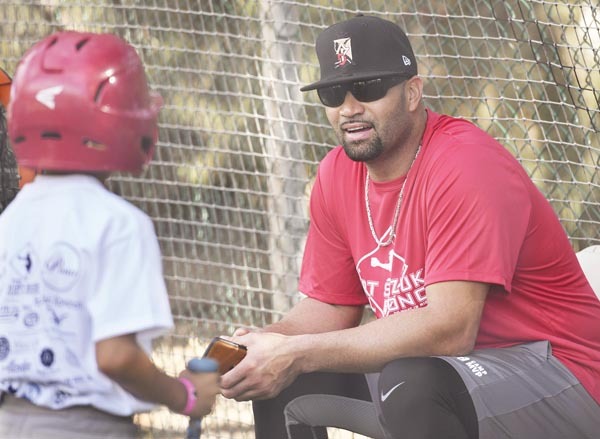 Pujols, a probable Hall of Famer who is represented by the same agency as Suzuki, said he has wanted to be part of the clinic for several years. “This is what it’s all about, this is the talent that God has given you to bless these kids,” Pujols said prior to the start of the clinic. “Some of these kids watch you on TV. To have the opportunity like Kurt said earlier — I never had an opportunity to be in a baseball camp or clinic where a Major League Baseball player was at. 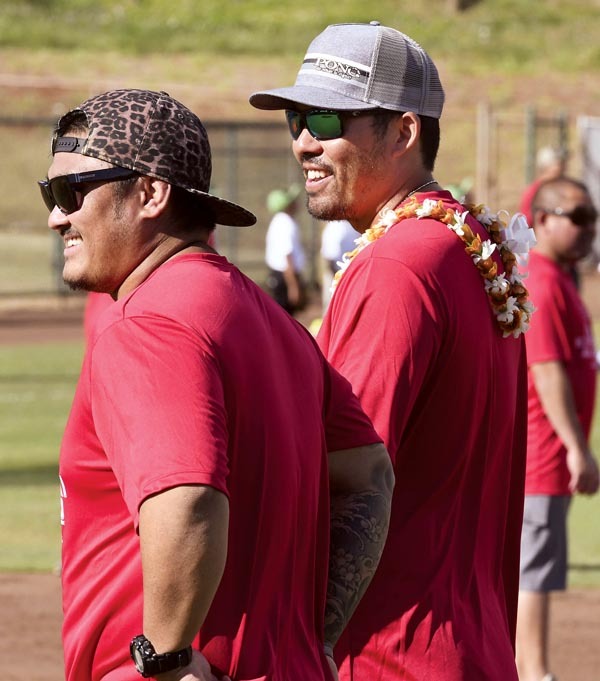 Two former major league pitchers, Shane Komine and Kanekoa Texeira, were also instructors at the clinic. Both are now coaches — Texeira is the pitching coach for Class A Rome, Ga., in the Braves organization and Komine is coaching youth baseball here. 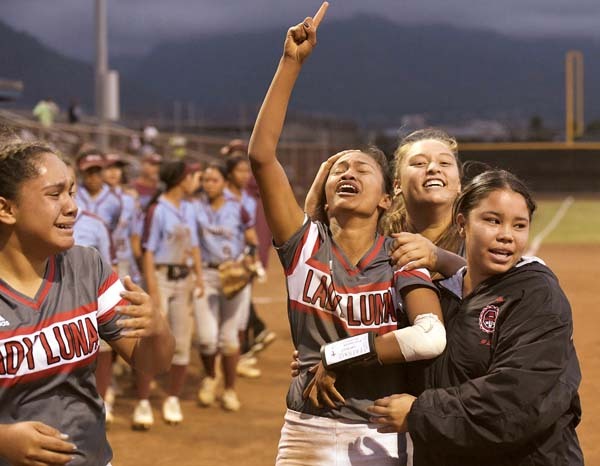 Texeira, who grew up on Maui, helped Kamehameha Kapalama win the 2003 state crown at Maehara Stadium. He played for the Seattle Mariners and Kansas City Royals in 2010 and 2011. Texeira also keeps up with the baseball played here. Suzuki continuing to pursue his major league dream is not surprising to Texeira.